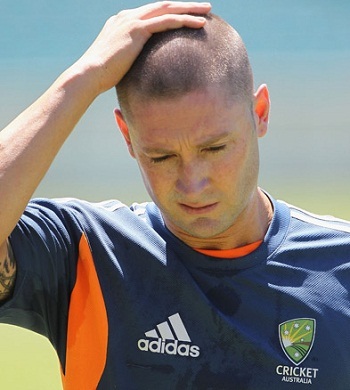 The captain of the Australian cricket team, Michael Clarke, was convinced that the country cricket was more valuable than the players who should follow discipline. Cricket Australia was jolted on Monday, March 11, 2013, when their head coach, Mickey Arthur, axed four of its top players on disciplinary grounds. That included their vice-captain Shane Watson, Mitchell Johnson, James Pattinson and Usman Khawaja. All four cricketers were given an assignment by the coach about the improvement of the performance of the Kangaroos in the forthcoming two Test matches but they overlooked it completely. That was the height of indiscipline from the four cricketers as they did not show any interest in commenting on losing the first two Tests and the outcome of the series after two more matches. 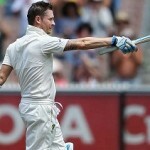 The team Australia landed in India early February, 2013, with high hopes of providing a tough challenge to the home side which recently lost the four Test series against England by 2-1. The Indian team gathered themselves and humiliated the Kangaroos in the two Tests played so far by a good margin. The first Test was won by the hosts with a difference of eight wickets on February 26, 2013, at MA Chidambaram Stadium, Chepauk, Chennai. It looked like the visitors would bounce back in the second Test but they lost it badly by an innings and 135 runs on the fourth day of the match on March 5, 2013, at Rajiv Gandhi International Stadium, Uppal, Hyderabad. Shane Watson was unable to deliver the required results and managed just 77 runs in the four innings of two Tests at an average of 19.25 with the best of 28 runs. Usman Khawaja was part of the team but he watched the two Tests as a spectator. However, there will always be a chance for him in the forthcoming matches, if required. James Pattinson was the supreme bowler for the visitors and grabbed 8 wickets averaging 23.62 runs per wicket with the best of 5-96 in an innings and 6-109 in a match. He is a promising youngster of just 22 years, he played 9 Tests and can foresee a long and bright future ahead of him but he needs to follow the strict rules and regulations of the national team. Mitchell Starc appeared in the first Test only and was unable to impress and remained wicketless. Clarke thinks it will be a good lesson for the sake of discipline in the team for the future of the Australian cricket and he anticipates that his team will fight back in the second half of their trip to India.